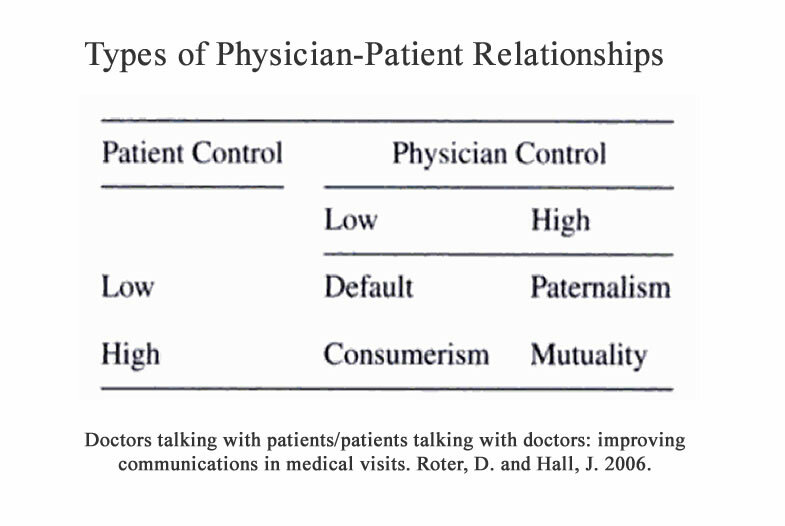 Despite the progress made, as noted in the 5 posts above, there is still a ways to go in doctor-patient relationships. Check out the charts below, which are based on four possible relationships. The optimal relationship is obviously mutuality. But the other three possibilities still exist. That needs to change. We need to have relationships be win-win!! !